The Supreme Court on Tuesday launched a number of applications including e - filing that will help litigants and lawyers file cases and submit documents online in the apex court, thus doing away with the need for physical presence. With the launch of e - filing application, convicts and undertrials can directly approach the Supreme Court by filing petitions, documents online from more than 16, 000 subordinate courts, said Justice Madan B. Lokur, in - charge of E - Committee of the Supreme Court. Chief Justice Dipak Misra and Law and Information Technology Minister Ravi Shankar Prasad launched the applications which included e - filing, e - payment options, National Service and Tracking of Electronic Processes (NTSEP), Supreme Court Legal Services Committee (SCLSC), and user manual and awareness guide for services offered under the e - Courts programme. Through e - payment application, Justice Lokur said it would be possible to pay court fees, fine, penalty and various other fees online. With regard to NTSEP, Justice Lokur said that 25 to 30 per cent of the total cases pending in the country are due to pendency of services. With this app, summons will now be available on mobile phones, he said, adding that the process of 25 to 30 per cent cases would speed up which were delayed because of delay in services of summons. Justice Lokur said entire e - Courts project has been a free open source project and saved more than Rs 1, 670 crore for the public exchequer. The inauguration ceremony unveiled these applications in the Judges' Lounge of apex court in the presence of other top court judges. 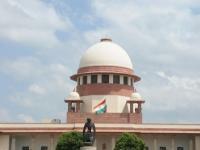 The function, hosted and organised by the e - Committee of the apex court, was casted live on the website. The Law Minister said India's digital profile is changing very fast and that more than 16, 000 subordinates are computerised. Chief Justice Misra said there has to be a friendly atmosphere for litigants, either through technology or physical presence, and when litigants knows he/ she is in favourable atmosphere, it matters the most. "We are technologically successful as far as the legal world is concerned, " Justice Misra said.